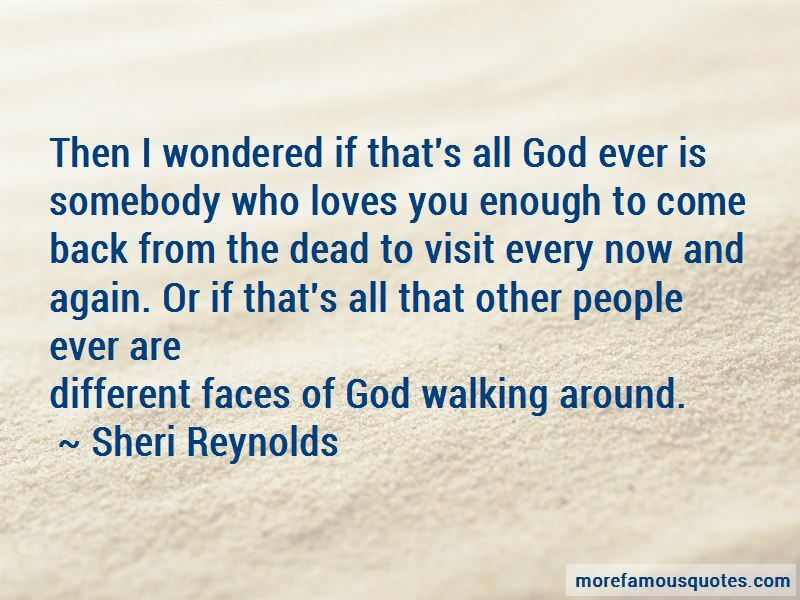 Enjoy the top 9 famous quotes, sayings and quotations by Sheri Reynolds. Your truth may not look like mine, but that is not what matters. What matters is this: You can look at a scar and see hurt, or you can look at a scar and see healing. There's only so much room in one heart. You can fill it up with love or you can fill it with resentment. 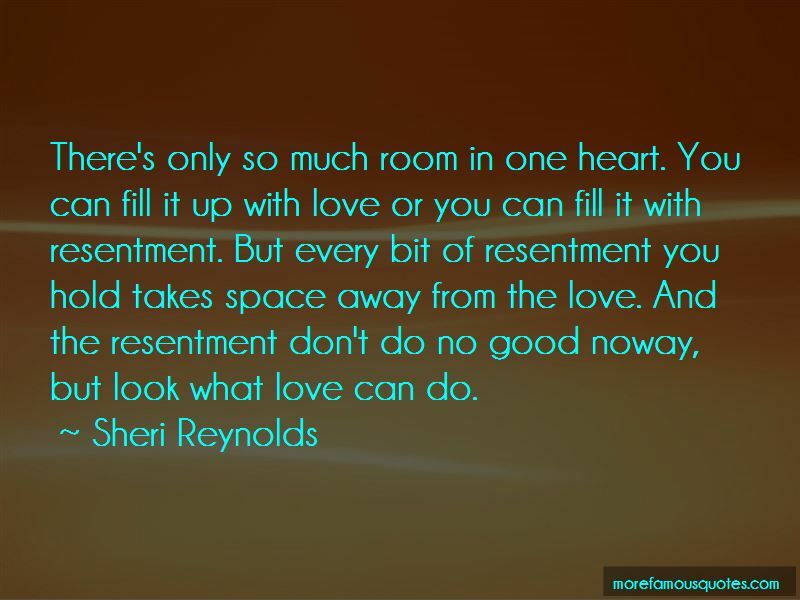 But every bit of resentment you hold takes space away from the love. And the resentment don't do no good noway, but look what love can do. When Constance was born, Aunt Glo named her after the dormitory she lived in at college: Constance Hall. “We choose our truths the way we choose our gods, single-sightedly, single-mindedly, no other way to feel or see or think. We lock ourselves into our ways, and click all the truths to one. We put our truths together in pieces, but you use nails and I use glue. You mend with staples. I mend with screws. You stitch what I would bandage. Things aren't bad or good. They just are. 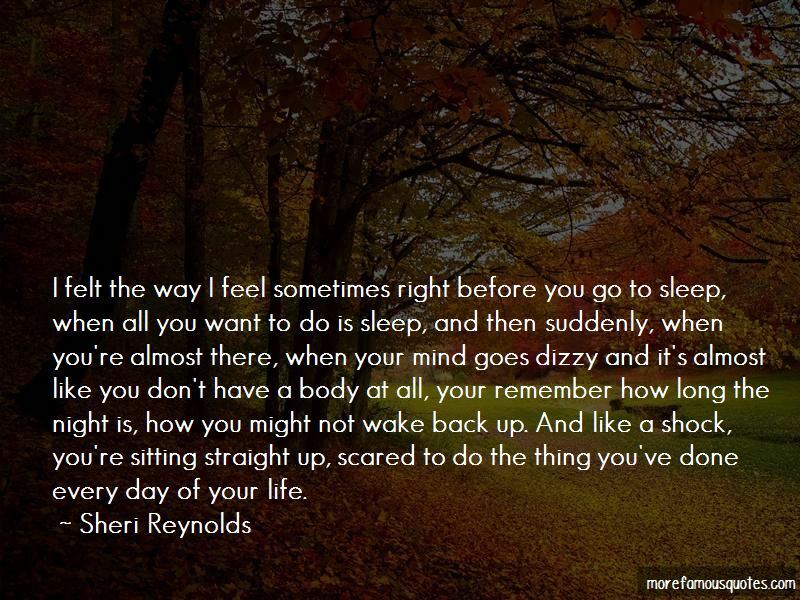 Want to see more pictures of Sheri Reynolds quotes? Click on image of Sheri Reynolds quotes to view full size.